The primary function of any screw used on a coffin was to secure structural elements together. 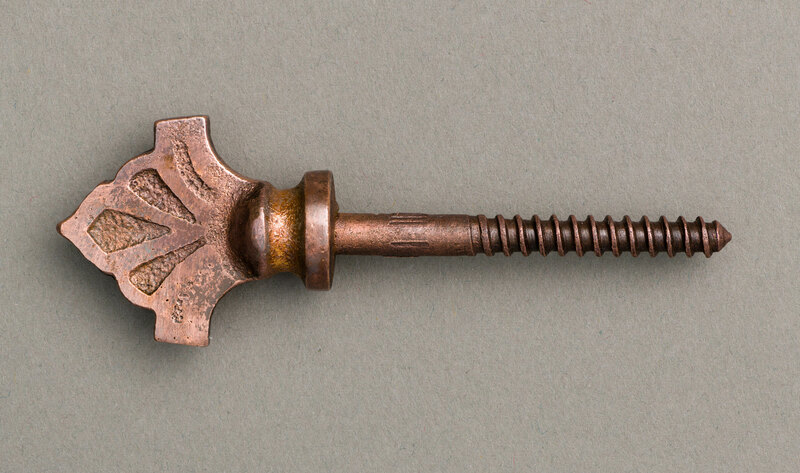 However, thumbscrews were also designed for leverage during tightening of the coffin, which was done by hand. Thumbscrews were used to attach the coffin lid to the body of the coffin. 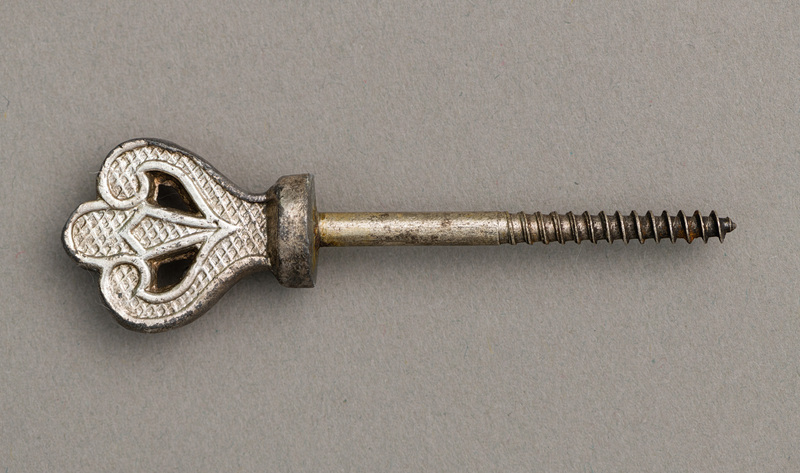 Smaller versions of these thumbscrews designs were used to attach coffin plates. Thumbscrews are similar in construction to ‘caplifters’, consisting of a plated metal head soldered to a long iron screw. 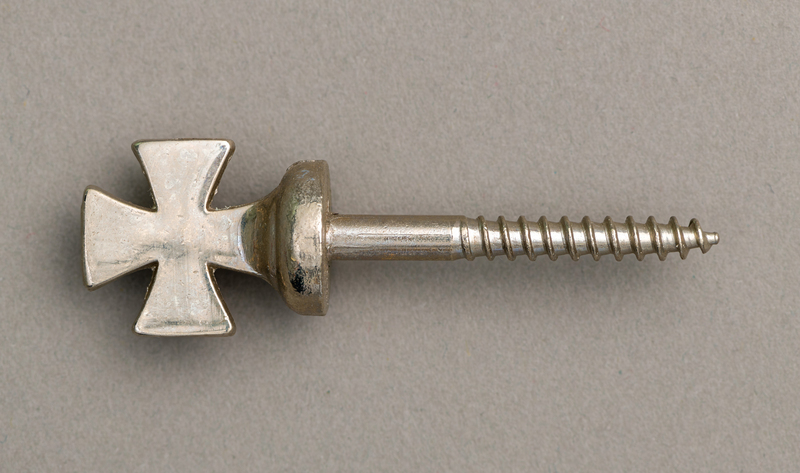 Thumbscrews differ from coffin screws, which are simpler in design. 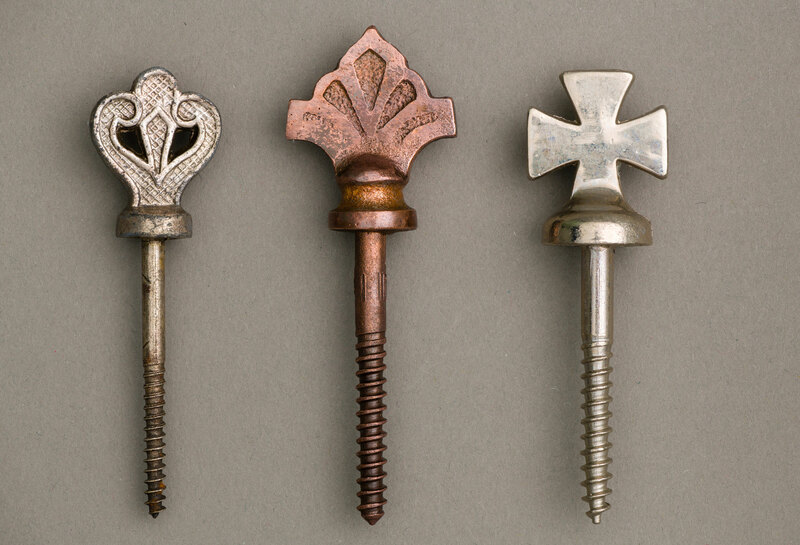 Click here to learn more about coffin screws. To see the full range of screws and thumbscrews Newman Brothers made in 1900, click here.